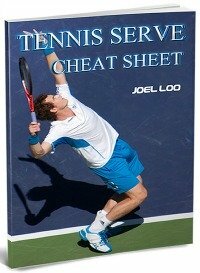 Are you frustrated with your double-handed backhand? Well, majority of the players could hit some good forehand and play a decent game but the problem is always the backhand. That is what distinguishes the beginner from intermediate or good player from great one. When you are to judge a player, you will notice that their worst shots are mostly in backhand and they will tend to cover up by running around the ball and hit a forehand shot instead. Sounds familiar? This is where you can see if they are really good. In pursuit for the better backhand, here are a few tips that will help you improve your double-handed backhand stroke. 1. Use the correct backhand grip. This kind of tip is somewhat obvious, but there are players who think that their backhand is bad and not knowing that their grip is wrong. If you grip on the racket, your hand must touch each other faintly with no gaps between. They have to be at the bottom of the racket handle so that is can give you the maximum leverage. 2. Swing low to high before contacting the ball. It is another obvious tip but many players are swinging it wrongly. Through swinging near the ground to far above the ground, you could place top spin in the ball. In return, it gives you margin for the error, and let you strike the ball without going out. 3. Hit through the ball and follow through. One of the common key mistakes while you hit double-handed backhand is trying to hit softly. Most players tend to think of dinking the ball or simply stab it thinking that when they swing slowly it can be accurate. It may not be true. If you have closed racket face, when you swing soft to the ball it will go straight downwards. The main reason why you need to use the correct backhand grip and create a low to high swing is that you could hit through the ball and sent the ball over. Bonus tip: to help you remember the follow through, check that your left elbow (for right handed player) is pointing to the opponent when you finished the stroke. This will ensure that you have a good follow through. 4. Get in position early and adopt the right footwork. Same with your forehand shots, it is crucial to get to the ball early so that you can prepare for the shot. This is especially more important for the double- handed backhand because of the limited reach. Personally I advocate close stance or neutral stance for this shot because it allows you to have a longer stroke production. Through swinging as you face the side of the court, the natural pull helps you to hit through the ball and bring it over the net. 5.Relax! Most people play their worse tennis if they are being stressed. Try to concentrate in one of the improvements every time. If you are to try centering your attention to several of them, then it would only screw your stroke completely. You have to relax and just try to go along the adjustments. 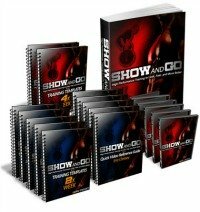 This will help you not to be overloaded, plus it can also help you focus towards them individually. 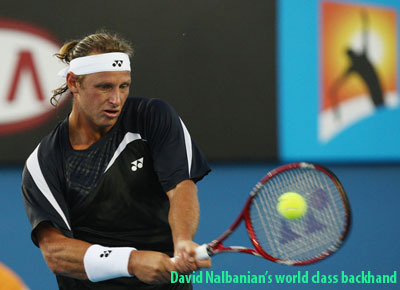 The above mentioned tips will help you learn and improve your double-handed backhand stroke. Go ahead and try them out. Have fun improving. 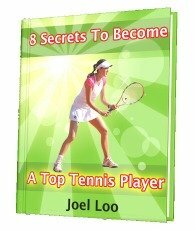 From "Double-Handed Backhand: 5 Tips to Turn Your Weakness Into Strength " To "How To Play Tennis Efficiently And Become A Better Player"